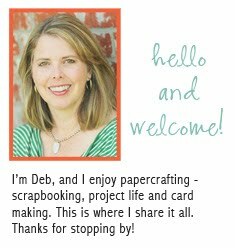 First, I wanted to let you know I'm guest posting at Scrap Rendezvous today about my Project Life process. You can even read it in French if you'd like! I did make a few boy layouts. 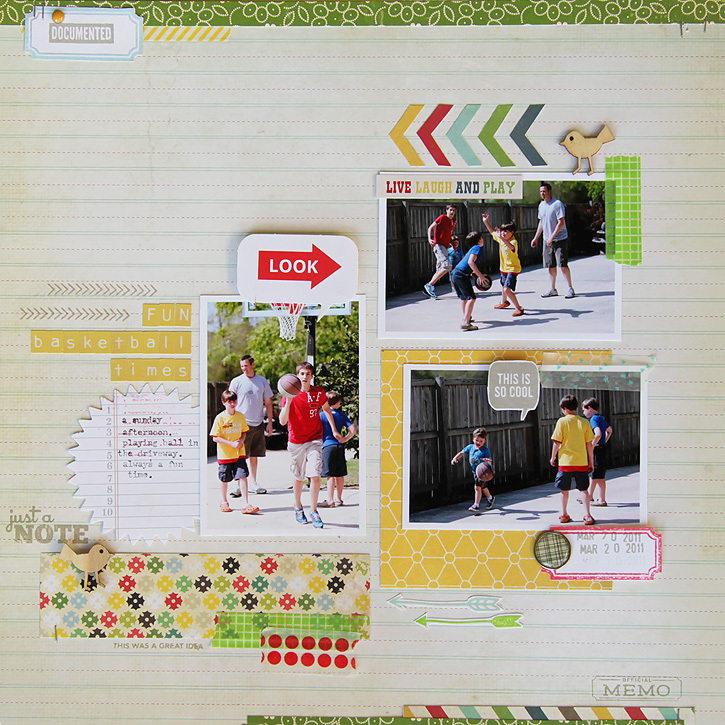 For this one about basketball, I cut out the chevron from a paper in the Simple Stories Summer Fresh collection. 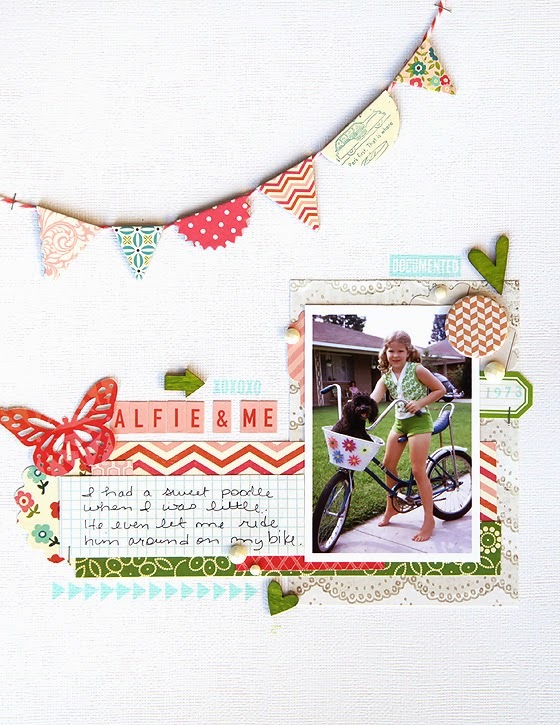 You can see some other boyish layouts in this post. I love this porch where the cousins frequently hang out at their grandparents' house. 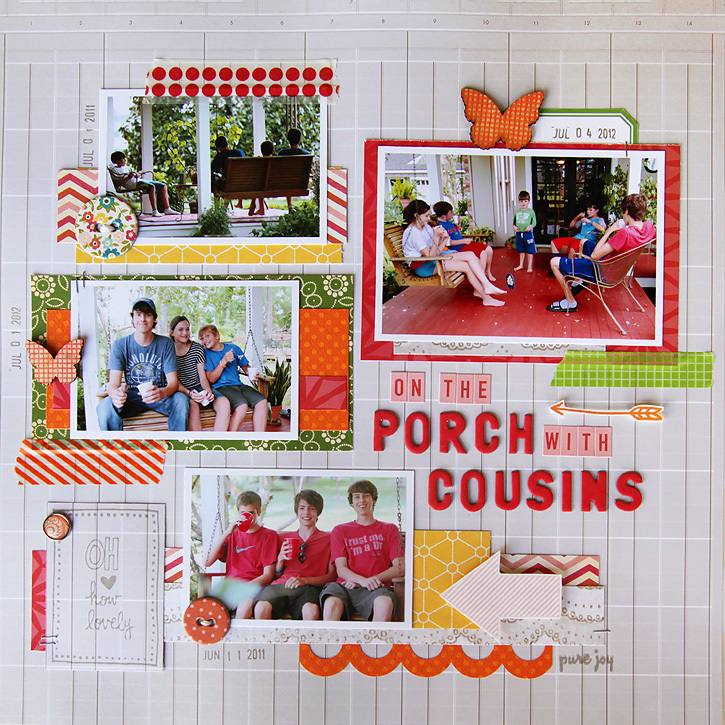 I used this border punch to create the orange scallops at the bottom of the porch layout and the yellow scalloped layer at the top of this next one about my niece. These two are from my childhood... one from a birthday party and one with a photo of me and my dog. 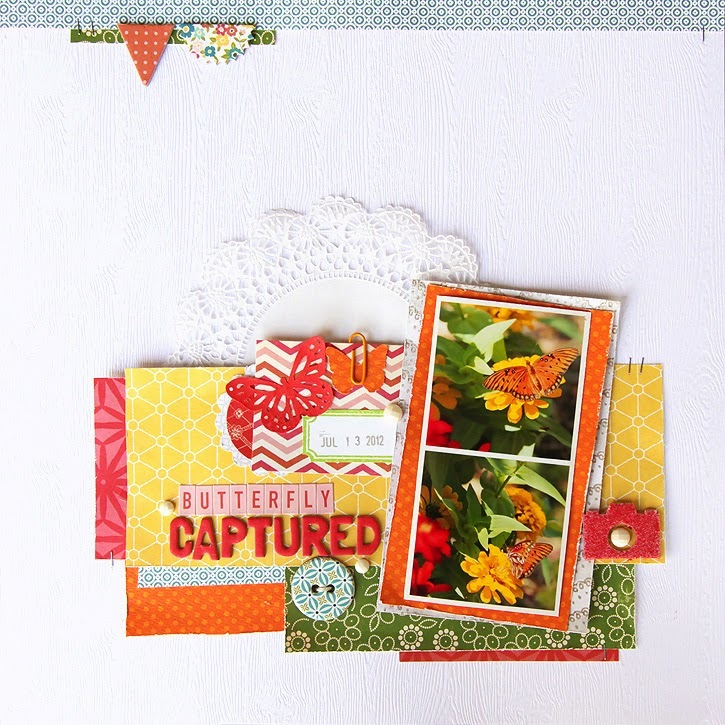 And lastly, a layout about a butterfly I captured this summer. The colors of the kit perfectly complemented the photo. DEB! how cute were you!!??! and love the layouts, as always! Love all your layouts, especially the butterfly! Thanks so much for guestposting for us! These are so bright and fun! All are gorgeous! The butterfly layout is perfect!!! Love it! 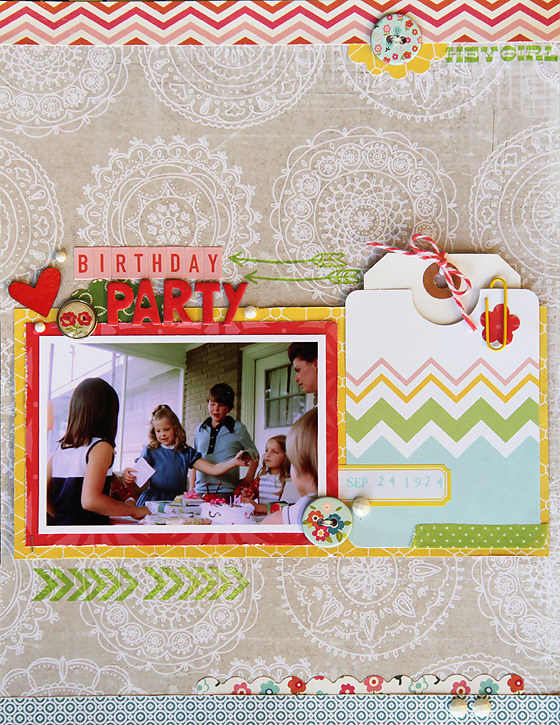 Love the chevron stripes you made on the first layout! oh!!! that ésweet girl" layout and that last layout are my favorite! I just adooooooooore them! I don't understand why SC haven't asked you to be part of their team yet!! Those are so pretty...I'm you basic quick onto a page...not pretty photo keeper. I love the look of your pretty pages. Thanks again for sharing your wonderful work with us at Scrap rendez-Vous!! Great pages! Especially the sweet girl one!